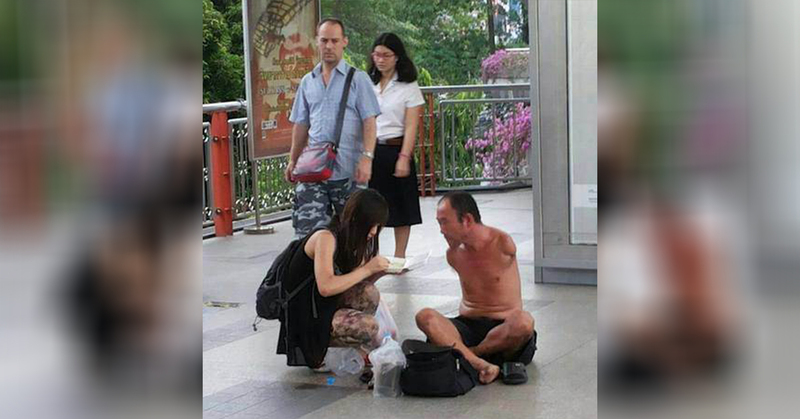 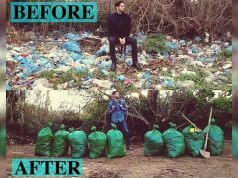 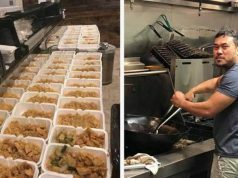 A girl saw this poor man, bought him a boxed lunch, and gently fed him. 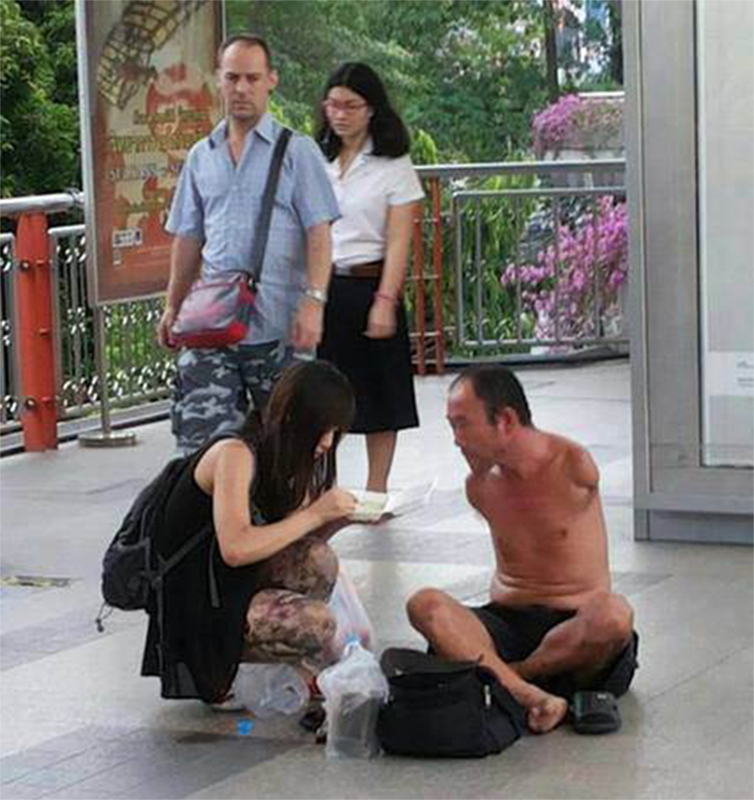 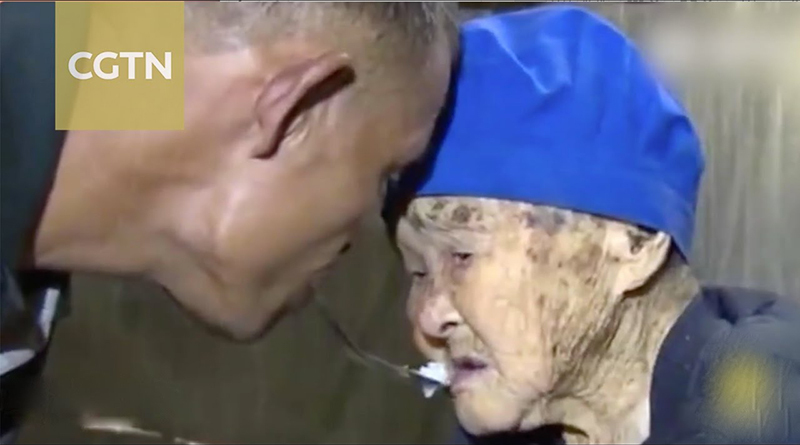 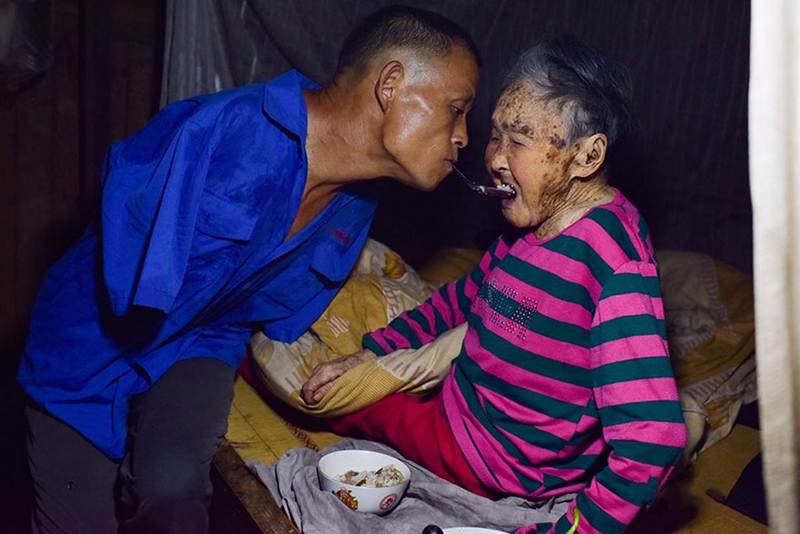 A man with no arms feeds his 90 year old mother. 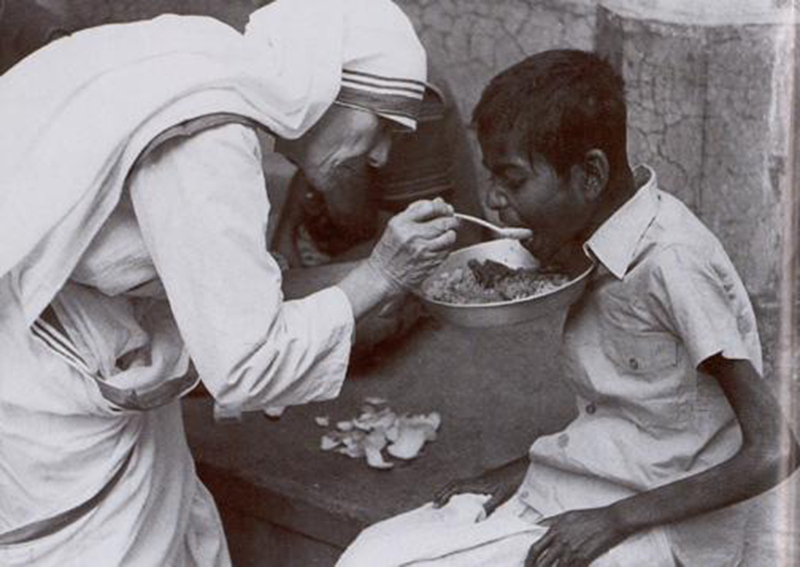 Mother Teresa feeds a starving child. 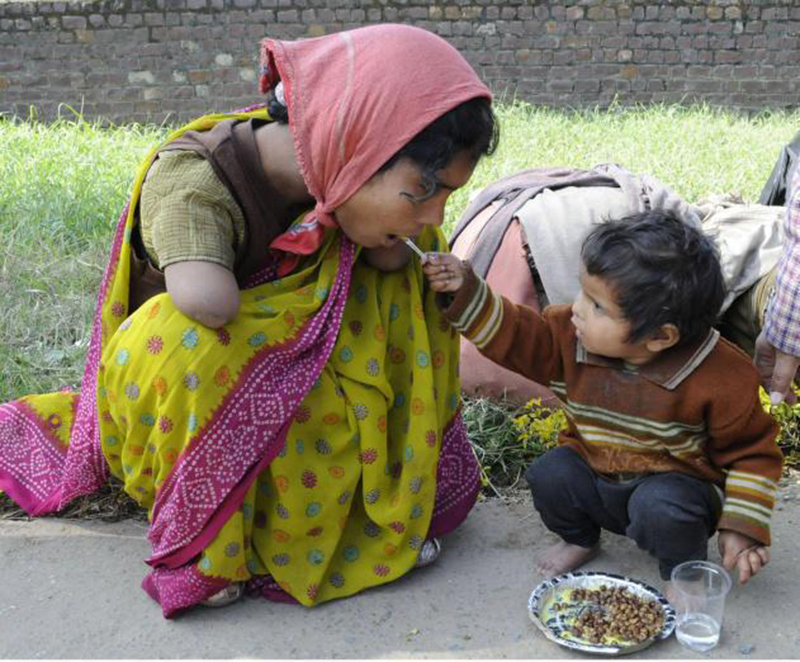 A child feeds his mother. 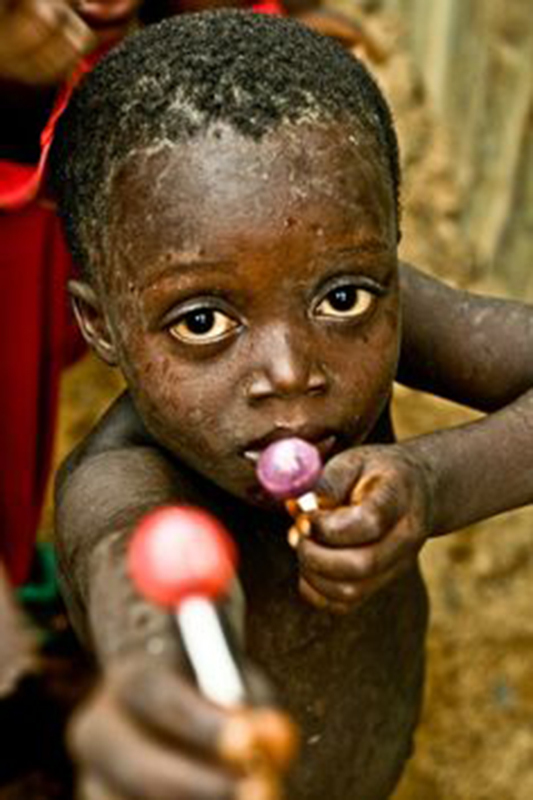 This poor child was given two lollipops, and his pure heart wanted to share one.